Please read the policies carefully and make sure you agree with, and will abide by them. While we respect our members' choices and play style, we also ask that you respect our guild. 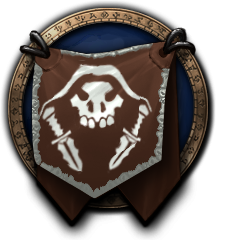 When you are playing under the Damage Incorporated banner, you are representing the guild as a whole. Therefore, inappropriate/inconsiderate behavior (including interactions with non-guild members) is strongly frowned upon and may result in consequences leading up to dismissal from guild. This includes any instance of begging, bashing players or other guilds in a public chat channel or on the battle.net forums, and mistreatment of fellow players on and off server (i.e., LFG groups). Guild members are expected to treat each other with respect and to help each other whenever possible. Our community is filled with great people that are willing to lend a hand with most things when asked nicely. Please do not abuse this kindness by asking for gold, free items, excessive requests for groups, excessive requests of profession cool downs, or any other requests of aid that creates a burden on the guild members. Such actions may result in consequences leading up to dismissal from guild. We do not condone any activity that reflects poorly on our guild, period. Damage Incorporated's Discord is open to all guild members. Anyone outside of the guild may join for the purpose of a guild event when invited by a guild officer or the coordinator of said event (i.e. Raid Leader, RBG Coordinator, etc.) Do Not give out our server information to anyone without permission. The Lounge is intended for general conversation. All members are welcome and encouraged to join the lounge at anytime. Raids, Battleground groups, Dungeon groups, and Arena Teams should use the appropriate channel so as not to monopolize the conversation in the lounge. The primary purpose of this guild is to have fun, in a mature and relaxed atmosphere. Please keep that in mind when you are in Damage Incorporated. Feel free to contact any of the officers if you have questions or concerns, we are here to help. Thanks on behalf of the entire guild.